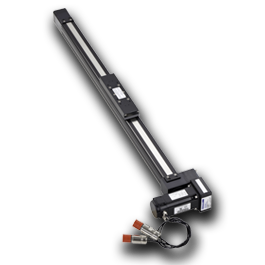 Kollmorgen offers a wide variety of linear actuators and motion systems. 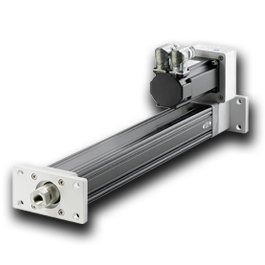 A linear actuator motion system consists of a rotary motor combined with a mechanical actuator that converts the rotary motion of the motor to linear motion. Kollmorgen offers electric cylinders where the load is attached to a rod that moves in and out. 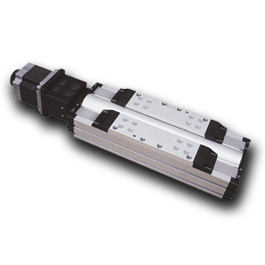 These linear actuators are perfect for replacing air and hydraulic cylinders. 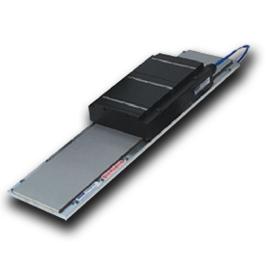 Kollmorgen also offers precision tables and rodless actuators that have carriages that move the load from point to point. Rodless actuators and Precision tables contain their own bearing systems and are great for applications where there is no additional bearing support. In addition, Kollmorgen's precision tables and rodless actuators can be configured into xy and xyz configurations to position loads in 2 or 3 dimensions.